Wintertime is upon us and boy is it cold outside! We got our first snow in the beginning of November and had snowmen built many times over before the 1st of December ever arrived. It's a good thing that my oldest son (4 years old) and I love the snow. 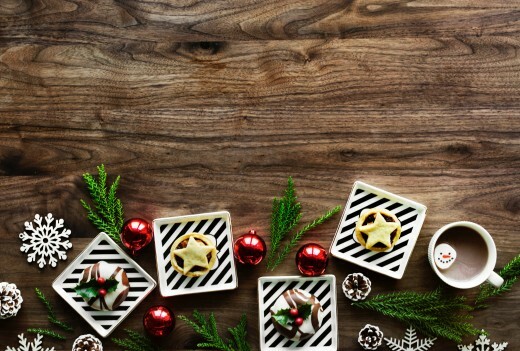 My husband isn't too impressed, as he grew up around it all his life, but he definitely is one of those who sings Christmas music all throughout the year and particularly looks forward to Christmastime. My son began following his lead very early in life. His favorite books to read are about snow and snow plows, he has asked when the snow would be coming back since he last saw it in February, and he constantly requests that our Christmas movies be played all year long with all of the fun Christmas music. I've got two winter-loving guys in the house. And what comes with the cold and wintertime? Well, hot soup and hot chocolate of course! I've been writing tons of fun soup recipes to share with everyone, like my yummy Creamy Clean Eating Baked Potato Soup, but now it's time to give hot chocolate the spotlight. We love our hot chocolate in this house. We first made it this season when our whole family came into town for Thanksgiving and went to the zoo with us. It was below 30 degrees outside and most of them chickened out and hid in the car while the rest of us finished out our zoo visit. But then upwards of 12 people came back to our house for a mug of hot chocolate and hot bowl of soup to warm up. I think that's the biggest pot of hot chocolate I've ever made before. Since then, we've made it three more times, including on our trip last weekend to cut our own Christmas tree from the National Forest. They were charging $10 for cut-your-own Christmas trees! 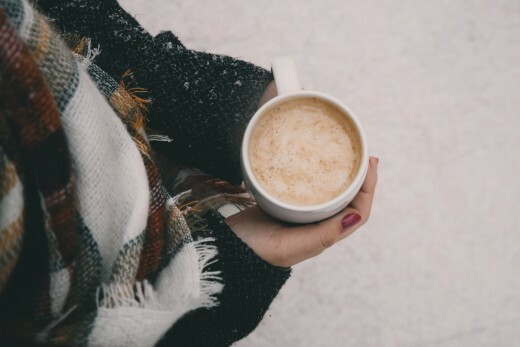 After tromping through the snow with a toddler in hand and a baby on my chest for a couple of hours, that steamy cup of hot chocolate was warm to my soul. 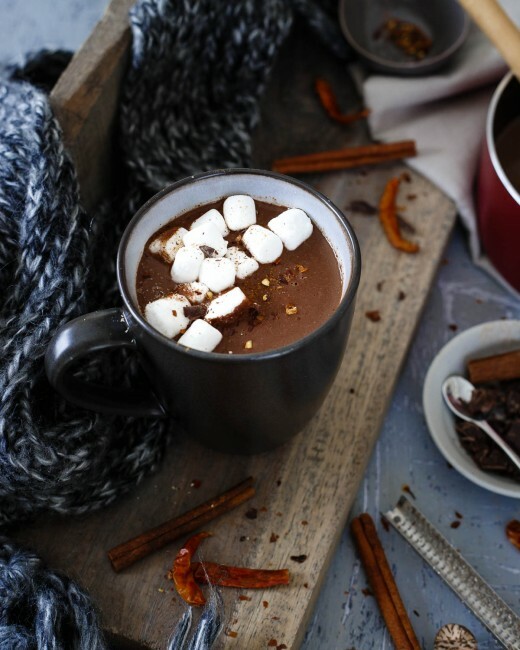 Now I'm sharing it with you, along with a host of other amazing hot chocolate varieties that are sure to warm you up this winter. I can't wait for you to read some of these!! This is my go-to cup of homemade hot chocolate. It's sweet, super easy to make and loved by everyone that comes over. 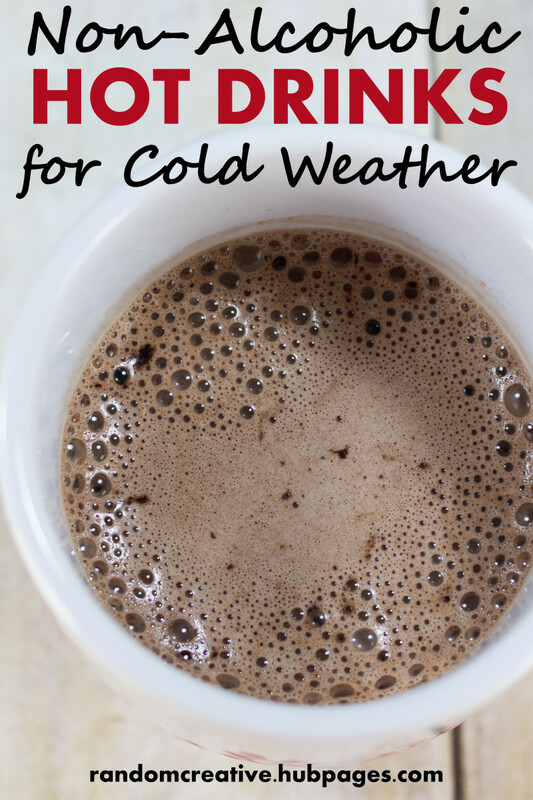 if you just have a hankering for a cup of hot chocolate, this is just about the safest recipe to make. 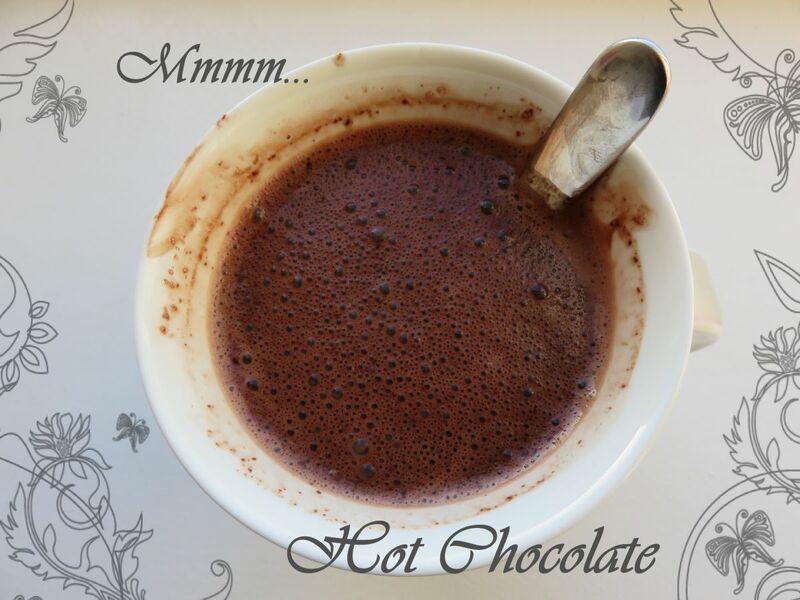 No fluff, no fancy ingredients, just yummy hot chocolate. Start by pouring your milk into a small pot on the stove and slowly heating it up over medium heat. Once warm, add your honey and whisk until completely melted. Finally, add in your cinnamon and cocoa powder, and whisk periodically while the milk cooks and incorporates your dry ingredients. It's ready to drink immediately, but if you have a few minutes, it's best left for a little bit for the dry ingredients to completely dissolve so you don't get a mouthful of powder. 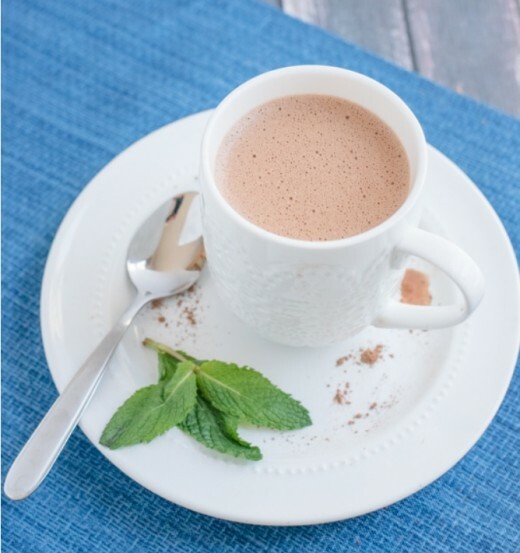 My caramel hot chocolate has been modified from this great recipe from Paleo Running Mom. I don't purchase several of the ingredients she uses, but loved the idea, so I just subbed in my own versions of the caramel and hot chocolate. When we make caramel sauce for some of our other yummy winter treats, we take advantage of it in our hot chocolate. Yum! In a medium saucepan, mix your coconut sugar and water. Stir over medium heat until it all liquefies. Then add your butter and stir until incorporated. Finally stir in your heavy cream very slowly. Allow it to boil for 1 minute and then remove it from the heat. Let it cool for about 5 minutes before using it. In a separate saucepan, add about a cup of your milk plus all the dark chocolate chips. Over low heat, stir the mixture until all the chocolate is melted. Add the rest of your milk and heat, stirring, until bubbles begin to form. Serve right away in big mugs and swirl in caramel sauce as desired. The more you put in, the sweeter and creamier it will be! Yum! If there's ever a hot chocolate recipe that really says winter, it's this one. Chocolate and peppermint makes you feel like it's Christmastime. Can't you just imagine serving this yummy hot drink to your family on Christmas morning with some homemade cinnamon rolls? I can! This recipe definitely has a place in our home this season. Start by heating up your milk in a small pot on the stove over medium heat. Once warm, add in your honey and peppermint extract and whisking until fully combined. Finally, add in your cocoa powder, and whisking periodically, heat until cocoa powder fully incorporated. Your hot chocolate is ready to drink immediately, but would benefit from being allowed to cook longer. Having just made a delicious round of gingerbread cookies with my kids, it only made sense to make some gingerbread hot chocolate. 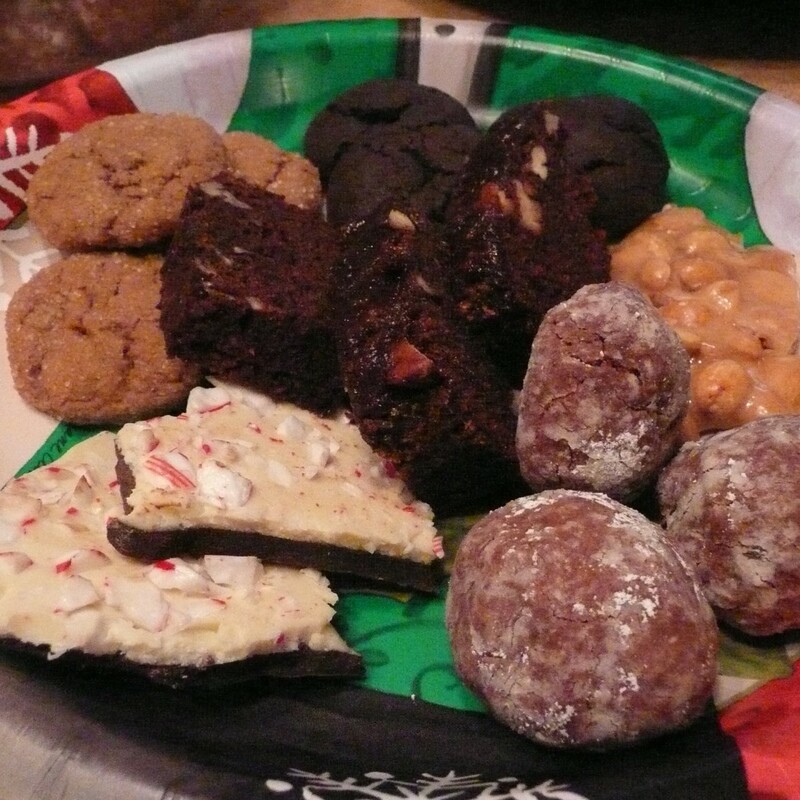 My kids and I couldn't keep our hands out of the cookie bag yesterday after baking the cookies, and then we took them to see the Zoo Lights with friends and family last night. Everyone was enjoying them. Now we can have that same treat anytime in a nice cup of hot chocolate! Once warm, add your chocolate chips and vanilla, and whisk until completely melted. Finally, add in your seasonings, and whisk periodically while the milk cooks and incorporates your dry ingredients. Maple has a very rich, distinct taste. Not everyone enjoys it, but for those that do, it gives this hot chocolate recipe a nice decadent flavor. I recommend using real maple syrup and not just pancake syrup, as they are two totally different products. Pancake syrup is usually just corn syrup, but real maple syrup is full of amazing nutrients and health benefits that you can't get from any other product. It's worth the difference! Start by pouring your milk into a small pot on the stove and heat it slowly over medium heat. When warm, add in your maple syrup and vanilla extract and stir until incorporated. Finally, add in your cocoa powder and whisk until mixed in. 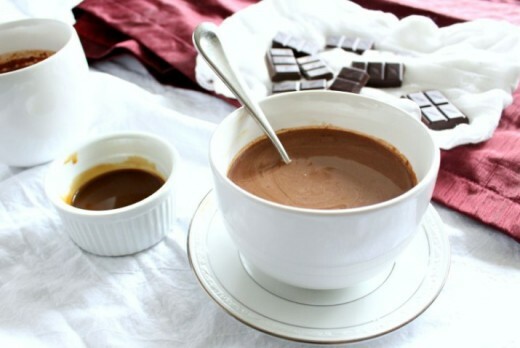 Your hot chocolate is ready immediately, but would benefit from being allowed to cook a little while, whisking periodically to dissolve the cocoa powder. This amazing recipe adapted from Eazy Peazy Mealz is simply delicious. It's basically my basic hot chocolate recipe, with more cinnamon and some yummy, healthy toppings. Doesn't it look amazing?! It is! You're going to want to give this one a try before the winter is over. Whip cream either with an electric hand mixer, or even by hand, until stiff peaks form. Then add your maple syrup and stir well. Set aside. Heat your milk over medium heat in a small pot on the stove, stirring often. Then add your cinnamon and cocoa powder and whisk until no lumps are left. 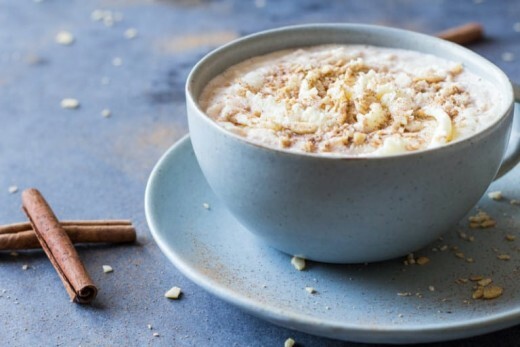 Pour your hot chocolate into a large cup, add whipped cream with a spoon, and sprinkle with sliced almonds and some cinnamon to enjoy right away. This sweet treat is going to delight your senses and tickle your funny bone. 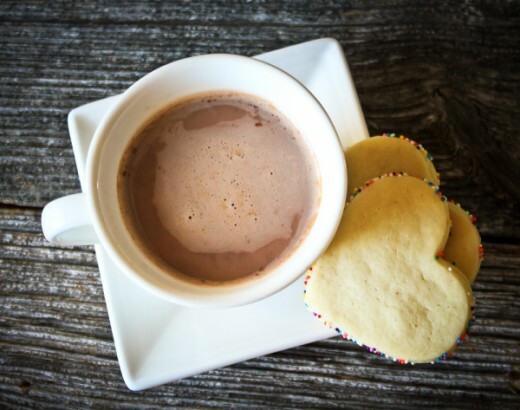 The addition of coconut sugar and coconut oil, instead of honey, will give you the sense that you are eating a cookie rather than drinking hot chocolate. In fact, this cinnamon sugary goodness tastes just like my chocolate snickerdoodle cookies! That's where this yummy drink developed from. I hope you enjoy it as much as we did! Once warm, add your coconut sugar and coconut oil, and whisk until completely melted. Because you need to make your own cookies and homemade marshmallows for this treat to be clean eating, this recipe takes a bit longer to pull together. But just know that you can then have your own S'Mores as well as a nice hot mug of hot chocolate to drink with it! 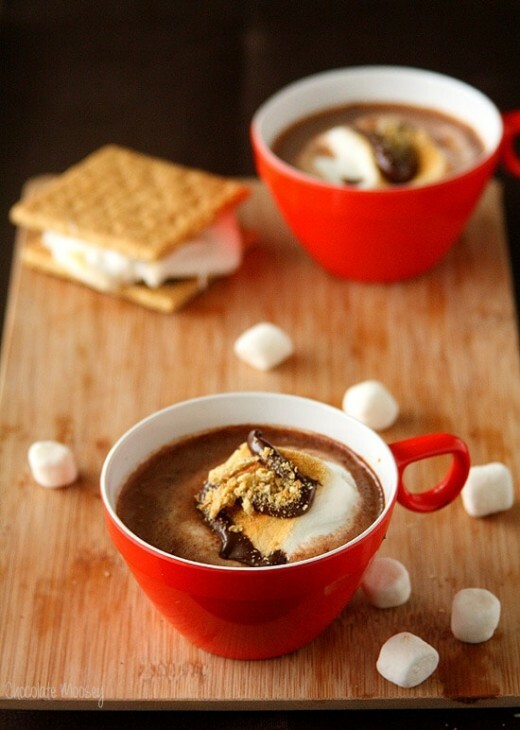 My husband loves S'Mores but the traditional graham crackers and store bought marshmallows are packed with unhealthy ingredients, so these great recipes are our go-tos for some amazing homemade S'Mores! Preheat your oven to 375 degrees F and line a cookie sheet with parchment paper. Mix all of your cookie ingredients together and press into a large solid square on the cookie sheet, about 3/4″ thick. Bake for 15-17 minutes, or until golden brown, and set aside and let cool for about 10 minutes. For your marshmallows, put 1/4 cup water into a mixing bowl and sprinkle your powdered gelatin evenly on top. Set aside. Stir your honey, vanilla and the rest of your water in a small sauce pan until well combined. Turn on medium heat and don’t stir mixture again. The honey will boil. Just let it roll. Meanwhile, fill a small bowl with ice water. This is just to test the temperature of the honey mixture. Cook your honey for about 9 minutes, then begin testing if the mixture is hot enough. 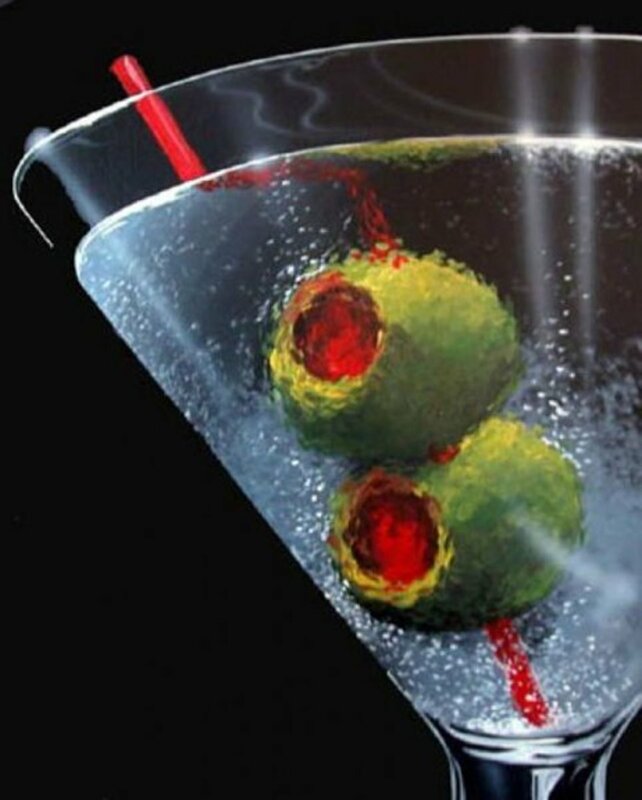 Since it is a small amount of liquid, double-check it’s done by using a knife or spoon to drip a tiny bit of the mixture into prepared ice water. Once a small sheet of crystallized honey forms in the ice water, it’s hot enough. Slowly whisk the honey mixture into the gelatin. The gelatin will have firmed into a disk at the bottom of the bowl. Now mix on high with a hand or electric mixer until the mixture is thick and fluffy. It should be thick enough to stick to the beaters. This only took about 5-7 minutes. Finally, pour into parchment lined pans and let sit out to dry, uncovered, for about 12 hours, or until firm. Then cut into squares. When everything is ready for your hot chocolate, heat your milk over medium heat on the stove. When warm, add your chocolate chips and stir until they are completely melted. 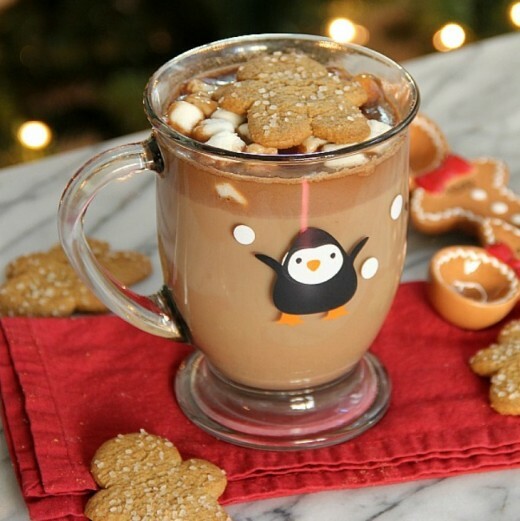 Fill a mug with your hot chocolate, add a cookie square or crumbled cookie. Yum! 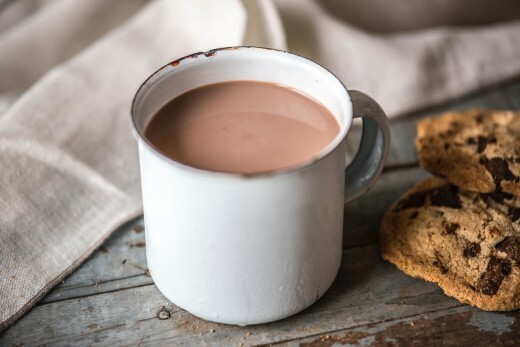 Tip: For a treat, dip the rim of your glass into the hot chocolate and then into a bit of cookie crumble. Now that we've covered snickerdoodles and S'Mores, I thought it only appropriate to try and make a sugar cookie hot chocolate as well. This yummy creation is exactly the same as the snickerdoodle recipe above except that it uses organic cane sugar and almond extract instead of coconut sugar and cinnamon. 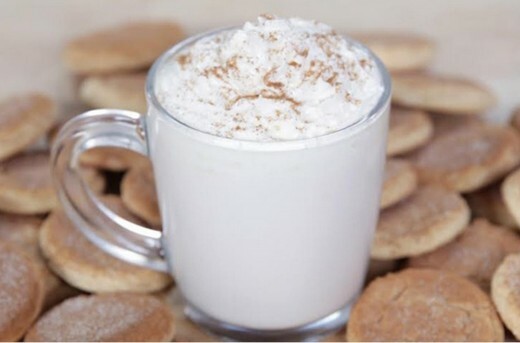 The idea is to give you the taste of sugar cookies with every mouthful of hot chocolate. Enjoy! tart by pouring your milk into a small pot on the stove and slowly heating it up over medium heat. Once warm, add your cane sugar and coconut oil, and whisk until completely melted. Finally, add in your cocoa powder, and whisk periodically while the milk cooks and incorporates your dry ingredients. Take it off of the heat and add your heavy cream and both extracts. Whisk in well. Fell free to add some homemade whipped cream (above) in each cup and sprinkle with more cane sugar. This is definitely an interesting recipe from Savory Simple, that requires you to think outside the box a little bit. Pistachio is a wonderful winter flavor that is generally found in cookies, candies, and even bathing products. But there's no reason why you can't also enjoy it in your hot chocolate. But how do you combine nuts and hot chocolate? Nut milk of course. It's much easier than you'd expect and the results are amazing. Don't be scared. Give it a shot! Cover pistachios in 4 cups of filtered water and refrigerate overnight. The next day, drain and rinse the pistachios. Add them to a blender or food processor with 4 new cups of filtered water. Puree on high speed for 1 minute. Drain pistachio milk through several layers of cheesecloth or a few coffee filters. When ready, heat your pistachio milk over medium heat in a small pot on the stove. While the mixture is heating, whisk in your honey until it has melted. Finally, whisk in your cocoa powder, cardamom, and vanilla. Once the mixture is hot, and everything has completely mixed in, it is ready. 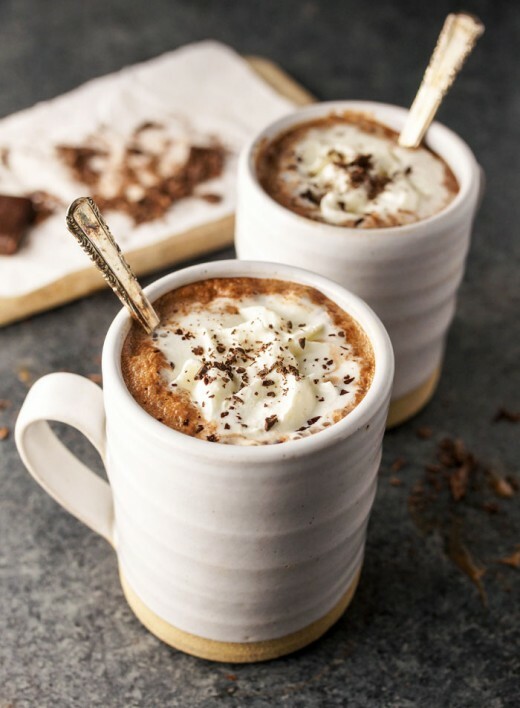 This has to be one of my favorite hot chocolate recipes. It's like pecan pie right in my hot chocolate glass. But instead of having to make nut milk first, I can just put all of my ingredients into my favorite blender or food processor and blend the pecans right in with everything else. Yum! Then all it takes is a simple strain to get any chunks out, unless you like the chunks, and it's ready to heat up. Add your milk, pecans, cinnamon and vanilla to the blender. Blend on high until smooth. Using a fine wire mesh strainer, strain the milk into a medium-sized saucepan. If you want a smoother finish, line the mesh strainer with cheesecloth or a coffee filter. Heat your milk over medium heat until it starts to form bubbles along the sides of the pan. Add your chocolate chips and honey. Lower the heat slightly. As the chocolate and honey begin to melt, use a whisk to mix it in well. You could also return it to the blender for a more frothy finish. 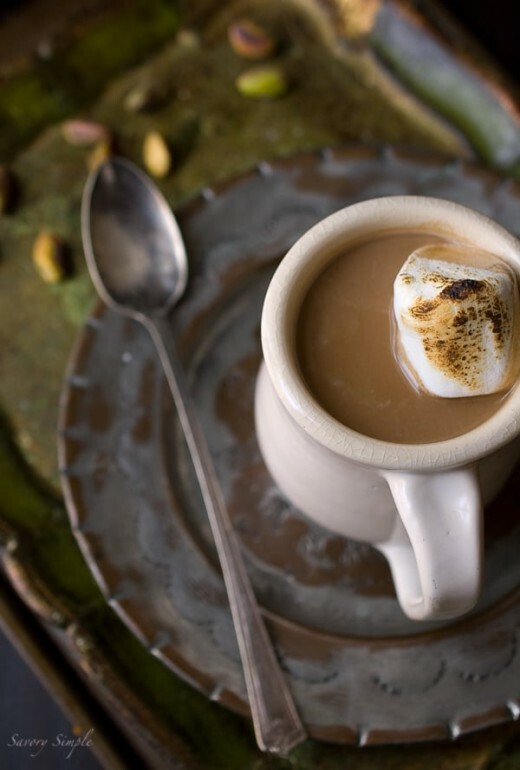 If you like a little spice with your hot chocolate, this is the recipe for you! It definitely puts the tingle in your toes and heats you up from the bottom to the top. It's also great for clearing your sinuses. If you've never thought to try cayenne pepper in your hot chocolate, this is going to be a special treat! Finally, add in your dry ingredients, and whisk periodically while the milk cooks and incorporates everything. With two kids on my tail all day, a house and two labs to keep up with, and a business to run, I am on my feet keeping busy every second of the day. Even during the winter, instead of slowing down and getting some much needed rest, I am just getting my juices going to finish out the year strong. The fall and wintertime are great opportunities in both my personal life, with my kids and my family, and also in my business. So I have to create my relaxing moments amidst all of the holiday chaos. Creating and discovering new recipes, along with getting to enjoy them and share them with my family, is the best way I find to slow down a bit and enjoy the holiday season. How do you not find a little peace when you're sipping a caramel hot chocolate on a snowy day? I can't help but tune out the rest of the world for just a few seconds as I enjoy the rich creaminess of a mug of maple hot chocolate gliding down my throat and warming me from my toes to my ears. It's kind of like a nice hot soak in the bathtub without all of the work. Especially when you are feeling the most stress and just need a second to unwind, or feel a chill and need to warm up a bit, give one of these amazing hot mugs of goodness a shot and see if you don't feel better almost immediately. And who can turn down chocolate? Trust me. You'll be thankful you did. Yum! 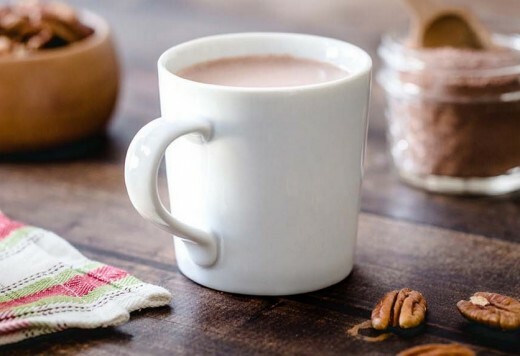 These are definitely some wonderfully healthy options for you instead of the traditional hot chocolate drinks. No guilt here! Just yummy hot deliciousness. I never dreamed there were this many recipes for hot chocoate. I don't drink it often because of the calories, but using honey and some of the other ingredients might help. 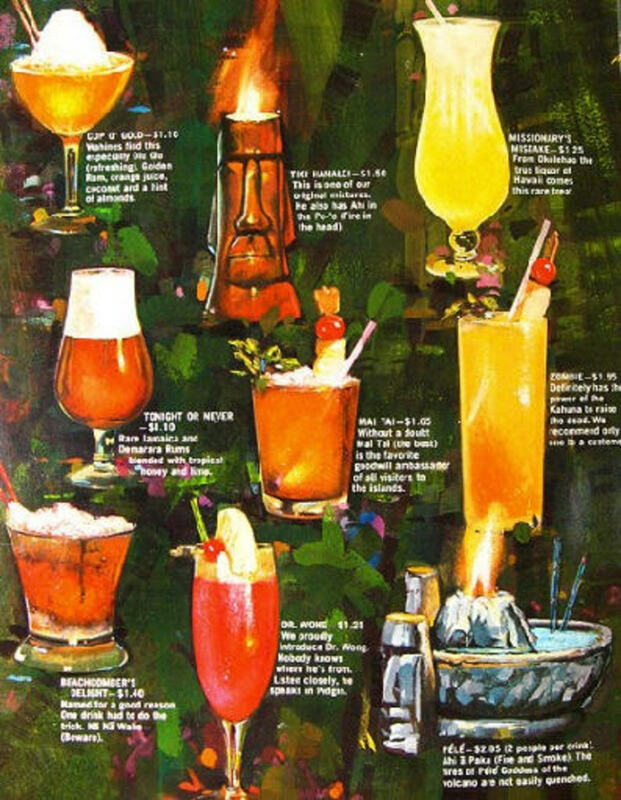 The pictures make me want to try many of those recipes! Yummy. It's really clever to use honey and cinnamon instead of sugar. I've been craving hot chocolate lately yet I didn't want to put on weight so I've been going without. Some readymade hot chocolates have some questionable ingredients including E-numbers. Some of these recipes look delicious, though. I'll definitely have to try the gingerbread one.